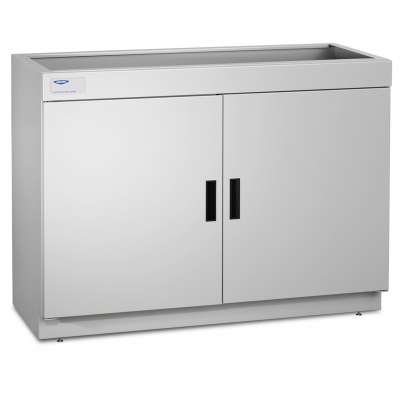 These energy-efficient benchtop hoods have containment-enhancing features that allow them to operate at face velocities as low as 60 fpm. The Protector XStream Laboratory Hood takes containment, safety and energy savings to the extreme. 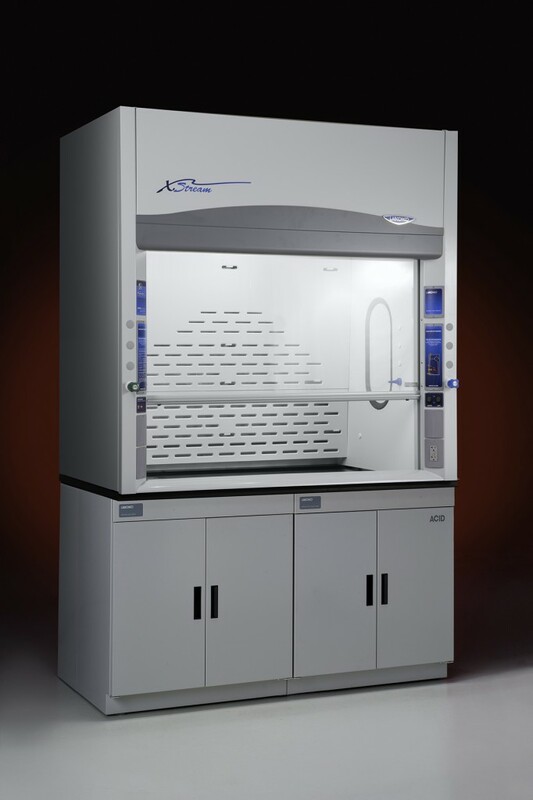 This general chemical, high performance fume hood was independently tested and challenged well beyond the SEFA-1 standards. With a face velocity of 40 fpm and sash fully open, the Protector XStream was subjected to 50 fpm cross drafts, NIH protocol, and tracer gas measurements in the chest of the mannequin. 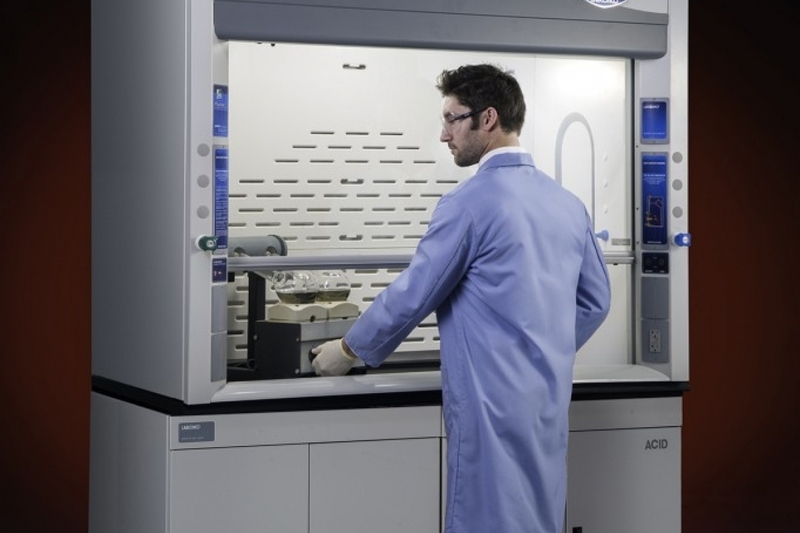 In all scenarios, the Protector XStream allowed 0.00 ppm average level of tracer gas outside the fume hood. 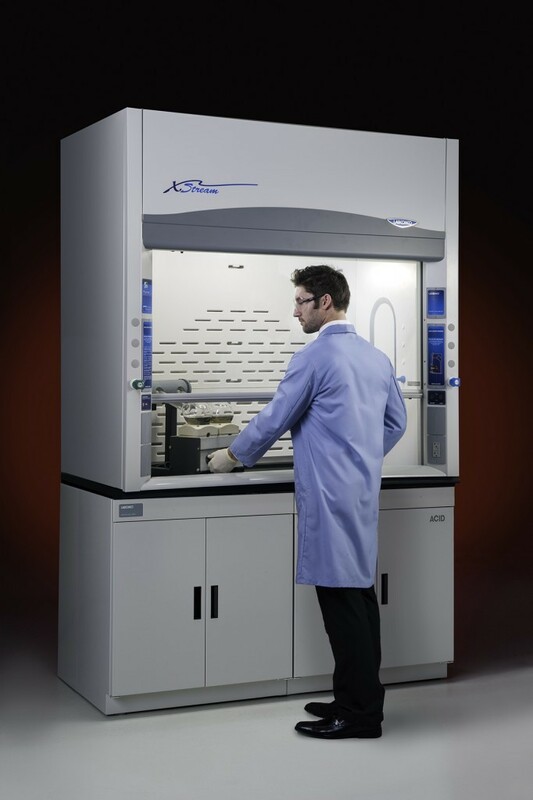 Although your safety officer will determine the actual face velocity setting for your laboratory, the ability of this hood to contain under these adverse conditions sets a new standard of safety. Safety is foremost, but energy savings is equally impressive. Although face velocity is a factor, it’s the volumetric rate (CFM) that determines the energy consumption. Operating a 6' Protector XStream at 60 fpm face velocity, with the sash in its fully open position, requires only 690 CFM. 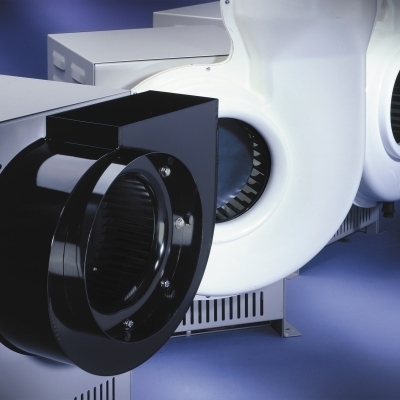 Regardless of your desired operating face velocity, the Protector XStream yields the lowest required CFM of any hood. 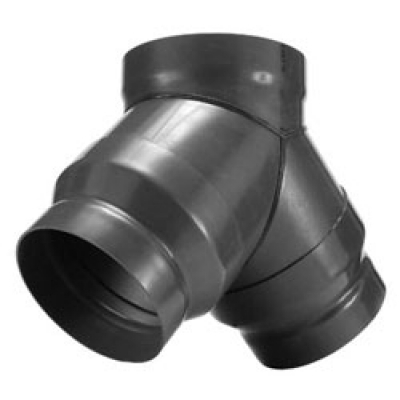 Powder-coated stainless steel, 12.8" (32.5 cm) ID exhaust connection(s). See airflow demonstrations using smoke to show some of the innovative and highly effective features that make the Protector XStream® the most effective containing fume hood. 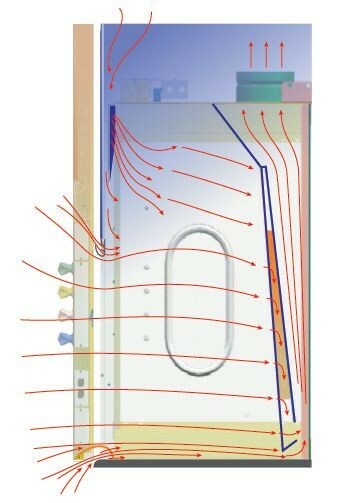 Watch the airfoil sill, upper dilution air supply, sash handle and sash track direct air into the fume hood's baffles without causing dangerous, containment disrupting turbulence. This video explains the key features of the Protector XStream Chemical Fume Hood from Labconco, yielding the greatest possible laboratory safety and lowest operating cost. Don't be like Scooter! 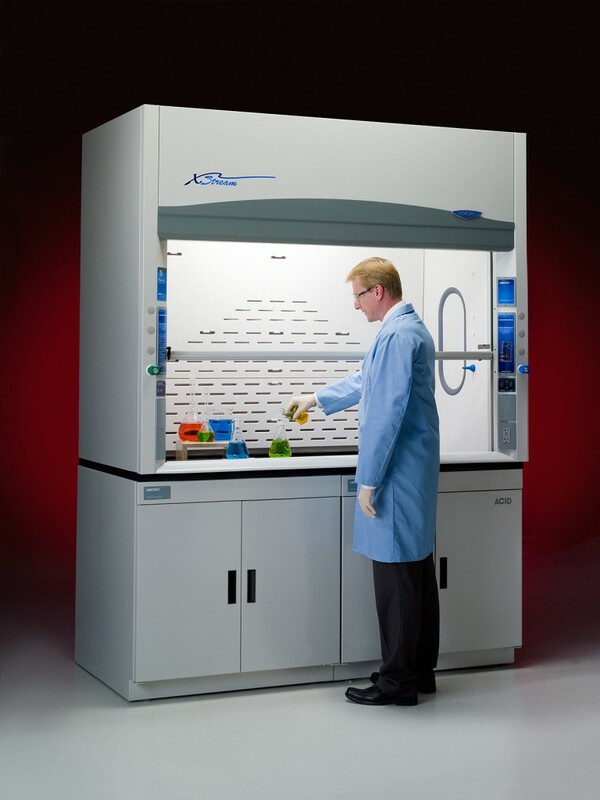 Learn how to safely and responsibly use your laboratory fume hood! Being an ASHRAE 110 testing mannequin is a dirty job, but some dummy's got to do it. Manny is just the guy for the job. Check out this video to get an idea of how we test our fume hoods to ensure they provide proper protection. Learn about the features provided by the Protector® XStream® Hood including the Air Foil with Clean-Sweep Openings which enhances airflow and minimizes dead air zones, the Upper Dilution Air Supply that cleans air above the work area, near the user's breathing zone and the Rear Downflow Dual Baffle System that direct airflow in horizontal streams to the back of the hood. Proporciona beneficios, especificaciones y fotos. 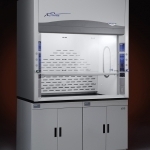 This Spanish-language brochure contains an overview, specifications and ordering information on Protector Premier, XStream, XL and Special Application Fume Hoods, and Basic series Fume Hoods. Ordering information on accessories is also included. For Protector XStream Laboratory Fume Hoods 11041, 11051, 11061 and 11081 Series. 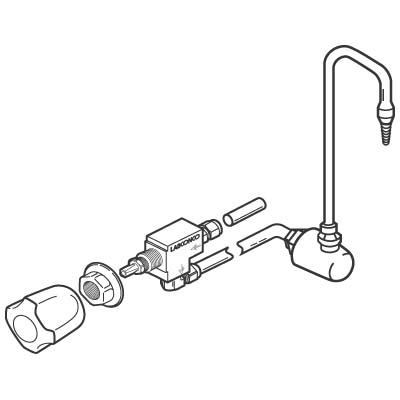 Instruction for the use of the Intelli-Sash Automoatic Sash Position system available on Protector Fume Hoods. 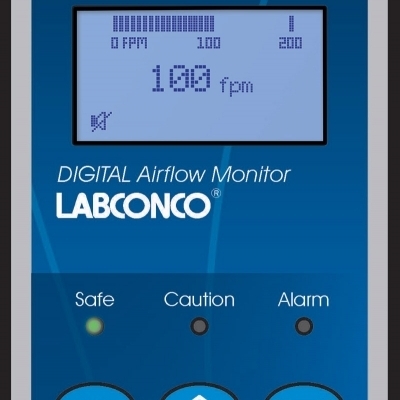 This 8-page white paper describes the development of the Labconco Protector XStream High Performance Laboratory Fume Hood. Go Green! Protector XStream Laboratory Hoods save energy. 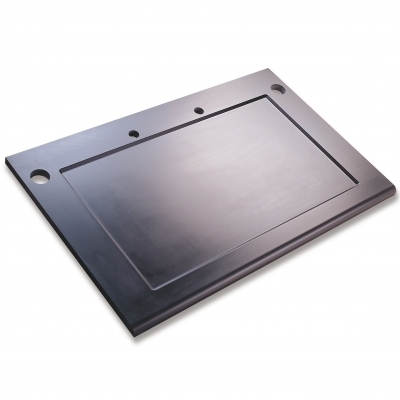 This specification covers Protector XStream Laboratory Hoods manufactured September, 2012 and after. 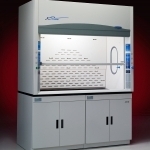 For validation of predetermined Protector Series Laboratory Fume Hood specifications. 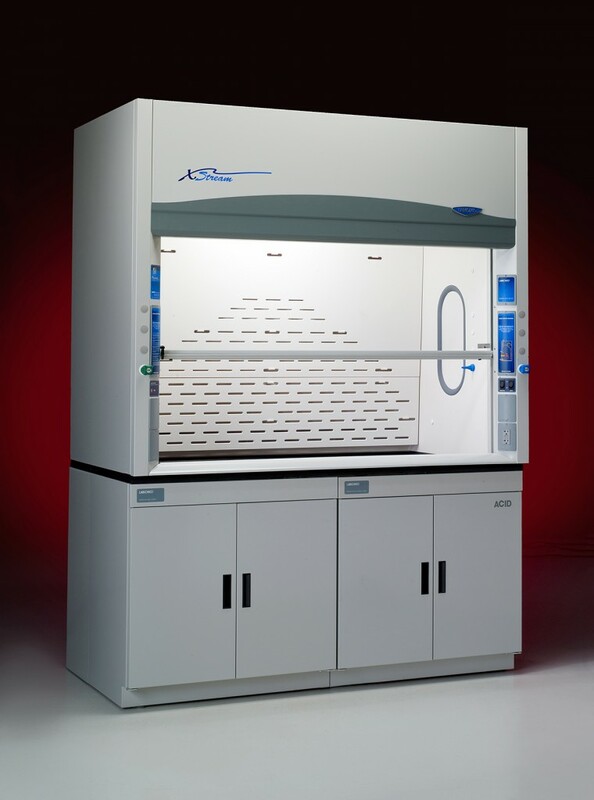 Provides a checklist of installation and operation qualifications to complete when beginning operation on new or used Protector Series Laboratory Fume Hoods.